Traditional confessions have a major role in strengthening interethnic accord, President Dmitry Medvedev stated during a meeting of the State Council in Ufa in the republic of Bashkortostan, one of the most ethnically-diverse in Russia. “Otherwise it is a road to nowhere,” he said. “It’s enough to have a look at some countries where bloodshed does not stop because of interethnic conflicts,” he noted. He instructed regional heads to create working groups made up of representatives of different religions and to “provide maximum support” to this initiative. In response, head of the North Caucasian republic of Dagestan, Magomedsalam Magomedov, came up with the idea to organize an all-Russia forum, which in his opinion will contribute to strengthening interethnic peace. 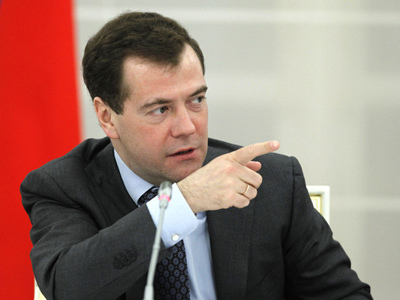 ­Medvedev stressed the need for a balanced attitude to personnel policy in all the regions, without exception. Those who have been sentenced for extremist crimes must not be allowed to work in government bodies, the president said. 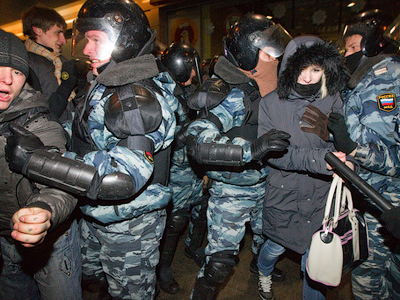 Many believe that corrupt officials and those connected with the activity of extremist groups are fueling the instability of the security situation in Russia’s North Caucasus. On the other hand, it is no secret that members of some ethnic groups “are unofficially barred” from positions in local government bodies of some regions and national republics, he said. The president slammed this practice as “absolutely immoral.” He ordered his envoys in federal districts and federal ministers to submit proposals to eradicate such abnormalities, even if they are caused by historical reasons. 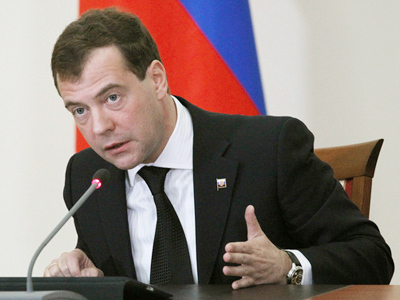 Modern officials should have necessary knowledge in the field of interethnic relations, Medvedev said. This requirement will be included into educational programs of managerial training for state officials. The president also said that those linked to igniting interethnic hatred will be banned from educating youths, adding that he will soon submit a bill on the issue to the Federation Council. National accord starts from school, he believes, being the place where the “basics of a person’s view of the world” are laid. “We have to analyze closely the content of school books and approaches to teaching humanities…and introduce new practices,” he said. Illiteracy is the basis of almost all conflicts, and especially interethnic ones he believes. “All our citizens are, in this or that way, bearers of culture, but for some it is part of Russian culture while for others their national culture is the only thing,” said Medvedev. ­The president has pointed out the example of the United States. “Nobody can insult anyone for their ethnicity, a punishment will follow inevitably. Sometimes people laugh at it, but I think it is better this way than to allow insults,” he said. “Tolerance can’t be excessive,” he added. But in Russia there are also examples of different ethnicities living side by side. And Bashkortostan, inhabited by 130 nationalities, is one of them. Medvedev also said that he does not agree with the recent statements of European leaders such as German Chancellor Angela Merkel and British Prime Minister David Cameron about the failure of multiculturalism. “It has become the vogue in Europe to talk about the failure of multiculturalism. This makes no sense. It is better to let all other cultures exist within the framework of the traditions and values of the main ethnicity,” Medvedev noted. Originally the State Council meeting was supposed to focus on family policies and other demographic issues, but Bashkorthostan’s head Rustem Khamitov suggested changing the topic after notorious violent clashes on Moscow’ s Manege Square on December 11, which were instigated by nationalist slogans. The president supported the idea, saying that it is indeed useless to discuss family and maternity problems without addressing the issue of interethnic accord. 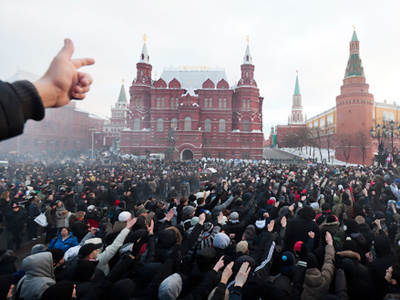 Nationalist movements have been gaining popularity among the young in the recent years. Hate crimes with nationalist motives have also become frequent, with most of them committed by the young of socially-disadvantaged background. The issue should be addressed without delay, believes the president. But efficient national policy in the area requires improvement of the current legislation in the field, as well as more co-ordinated work between the authorities and national non-government organizations and associations. Medvedev also suggested that more broadcast programs and printed materials promoting “ideals if interethnic accord” be created. Such media production should be stimulated and supported, he said. The system of state grants for these purposes should be optimized, including those distributed by the Ministry of Communications, the president noted.